This case study is based on the joint UNDP and World Bank programme, “Economic governance, regulatory reform, public participation, and pro- poor development: 2009 – 2012” (the Programme). This was set up to help tackle Albania’s water and sanitation problems, through the stimulation of and support to the cooperation between the Consumer Protection Commission (CPC) and the Water Regulatory Authority (WRA). The CPC and WRA jointly developed a "model contract" between the providers of water and sewerage services and their customers. The contract aimed to protect the immediate interests of consumers by integrating the provisions of the consumer protection law (Law No. 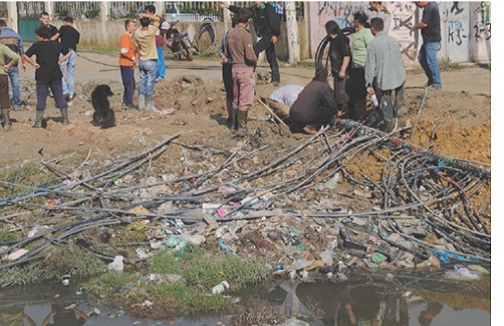 9902 of April 17, 2008, on Consumer Protection1), while at the same time protecting Albania’s water and environmental resources by including relevant clauses of the country's water and sewerage code (No. 1304, dated December 11, 20092). The innovative aspects of this experience were: 1) the use of a consumer rights approach to address issues related to access and quality of water and sanitation; 2) the adoption of a multi-thematic approach, which combined the consumer rights and the water management themes; 3) the use of the contract between water companies and consumers as a means to educate both parties on their rights and obligations, with respect to environment protection; and 4) the use of the contract as an entry point to improve the quality of water and sanitation services. 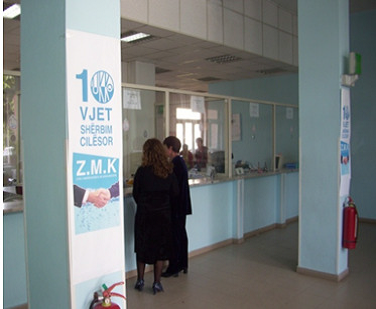 Consumer protection in Albania was at an embryonic stage. Water companies held a monopoly position in many regions of the country while consumers were not aware of their rights and were poorly organized. Only a few of the 56 Albanian water companies had a contract with their customers. These contracts neither integrated the provisions of the country's consumer protection law nor those of the water supply and sewerage code, which regulated the quantitative and qualitative provision of water and the environmentally appropriate disposal of wastewater. The absence of water contracts or poorly formulated contracts opened the way to all sorts of violations of consumer rights, such as inaccurate measurement of consumption and/or over-billing, and often resulted in practices which negatively impacted on the environment. 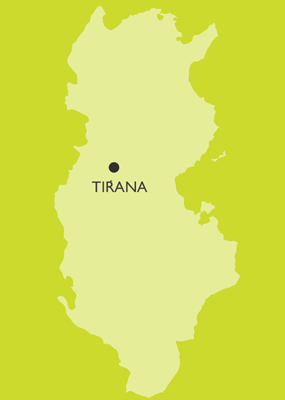 Access to safe water and adequate sanitation were among the strategic priorities of the government of Albania. The decentralization and commercialization of water supply services in the early 2000s (Decision No. 550, November 7, 2002, approved a Policy Paper on Decentralization of Water Supply and Wastewater Service) had pushed water prices up but improvements in water supply services were lagging behind. There were persistent issues related to frequent water cuts, the quality of water and the measurement and billing of water. The discharge and treatment of wastewater were major problems since the necessary infrastructure was lacking and there were very few wastewater treatment plants in the country. The upward trend in water prices without improvement in service quality resulted in strong consumer dissatisfaction. The Programme was designed to support stronger consumer voices and promote dialogue between consumers and water companies as a means to improve the quality of services. The Programme adopted a multi-thematic approach combining two themes: consumer rights and sustainable water management. The basic premise on which the Programme's strategy was based was the need to restore the link between prices and quality of water services. Several possible entry points were considered: building the capacity of local authorities to oversee the water companies, improving the monitoring and benchmarking of the water companies by the Ministry of Public Works and Transport, or strengthening the institutional capacity of the Water Regulatory Authority. However, other donors and even the World Bank-led component of the Programme were already addressing all these issues. The UNDP-led component of the Programme had a strong consumer protection orientation. It was felt that tackling price and service quality issues from a consumer protection perspective would strengthen the holistic nature and effectiveness of donor support in the water sector.The Programme worked with both the CPC and the WRA. The WRA regulated the water sector and co-authored Albania's water and sewerage code while the law on consumer protection explicitly stipulated that the inter-ministerial CPC was responsible for protecting consumer rights with respect to public utility contracts. The two partners welcomed the idea of working together on a "model" water contract which was approved by the National Regulatory Commission of the Water Regulatory Authority on 4th February 20114. This cooperation must be considered a success in a context characterized by frequent inter-institutional competition. The contract was formulated in such a way as to clarify and educate both parties on their rights and obligations, protect consumer rights and encourage more responsible behaviour with respect to the environment. Regional workshops bringing together water companies and consumers were held in order to explain in detail the clauses of the contract and in this way maximize the educational effect on both parties, whether with respect to consumer rights, water standards or environment protection. The capacity of the state bodies to protect and promote consumer rights was enhanced. In Albania the link between prices and service quality was broken. The main challenge was to restore this link. The process for the preparation of the model contract was as important as the final product, since it involved cooperation and consultation with all the concerned stakeholders in order to ensure understanding, ownership and commitment. Cooperation between the CPC and the WRA was essential, as each institution brought its own perspective, knowledge and expertise with regards to two themes i.e. consumer protection and sustainable water management. The most important stakeholders in the consultation process were the water companies and the consumer associations because of their conflicting interests. The Ministry of Public Works and Transport and the Ministry of Environment were naturally among the key actors in the process. Another challenge during implementation was to make the water utility companies and the consumer association agree on certain clauses of the contract, since the two parties had potentially conflicting interests. For instance, the consumers were interested in having a more frequent and thus more accurate measurement of their water consumption while the water companies were interested in reducing the related costs. Intensive work with the water companies, and particularly the association which represents them, as well as with the consumer associations was essential. 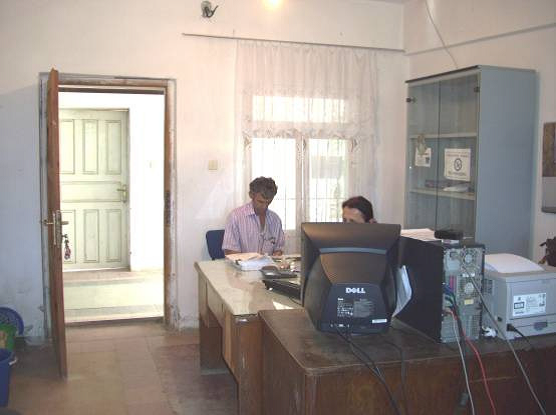 A number of activities required highly specialized skills and capacities which were not always available in Albania. The implementation of the “online consumer complaint management system” required international expertise to supervise the local company in designing and implementing the system. The hiring of local personnel, international experts and the implementation of the system was time consuming and continued longer than expected. However, once things were in place, the implementation of this measure was a very good learning opportunity for the local company. Consumer rights can also be a very relevant entry point to address water issues. Strengthening consumer associations and state bodies provided a strong national voice of consumers. Collaboration between multiple stakeholders is vital in addressing multi-thematic issues, spanning the consumer rights and the water management themes. Albanian authorities were involved since the very beginning of the project and the whole intervention was tailored as per needs of the national partners. The Programme thus became a part of larger initiatives in response to the national strategies and priorities of Albania. The use of the contract between water companies and consumers was a means to educate both parties on their rights and obligations, with respect to environmental protection. Vulnerable groups, people in need, and those living in informal areas benefit from pro-poor utility policies. UNDP and the World Bank, two agencies with different management procedures and decision making processes, had to find ways to compromise in order to complement this Programme. These types of agencies cannot provide high efficiency in cooperation without harmonizing their systems. Once the outcomes of the Programme were approved, the planning of activities were kept flexible in order to adapt to the national priorities and partner’s needs, within the scope of outcomes. This way, even though some of the activities may have been changed, the results achieved were the same. Thus the Programme accommodating these requests made itself useful and valuable for the national partners. The experience is replicable in other transition or developing country contexts where some progress has been made in terms of the adoption of consumer protection legislation and the establishment of consumer protection institutions. It is also particularly replicable in countries where considerable priority is given to the development and strict regulation of the water and sanitation sector. There is little doubt that the importance of consumer issues and the introduction of water and sanitation standards in Albania are linked to its status as potential candidate for accession to the EU and the need to start complying with EU directives in this area.